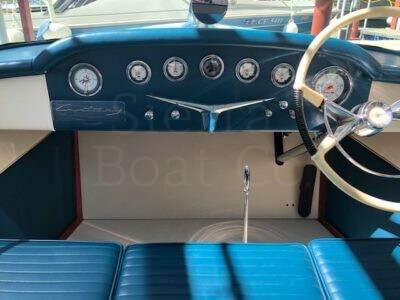 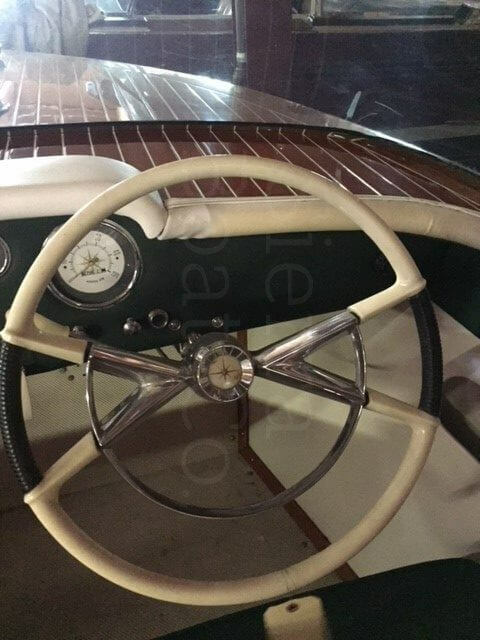 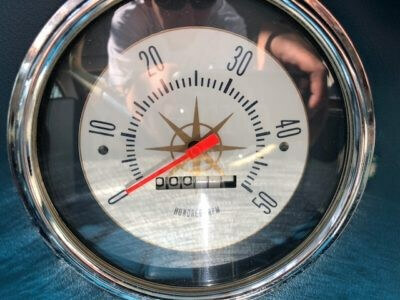 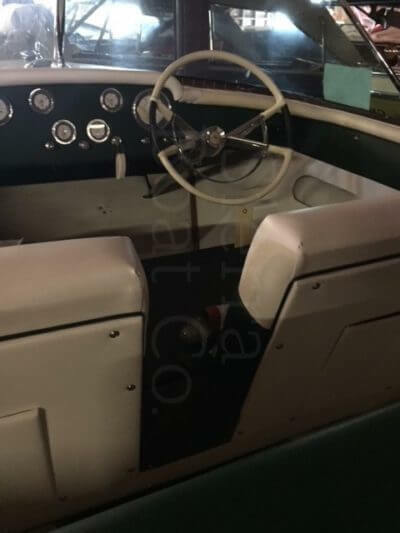 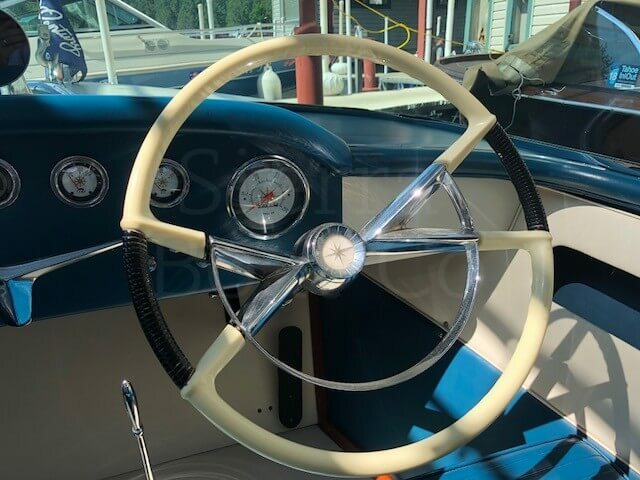 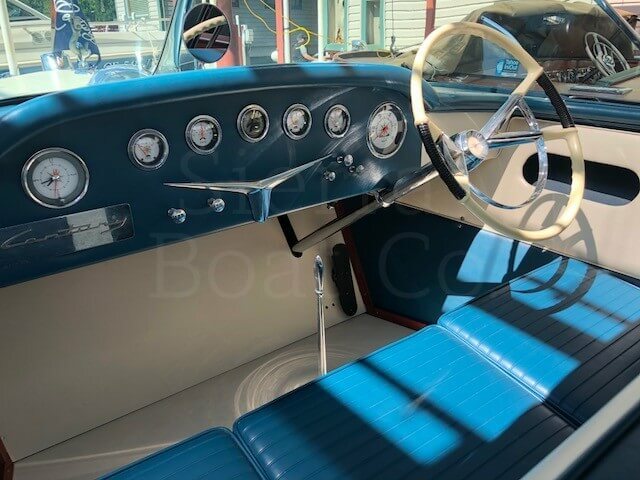 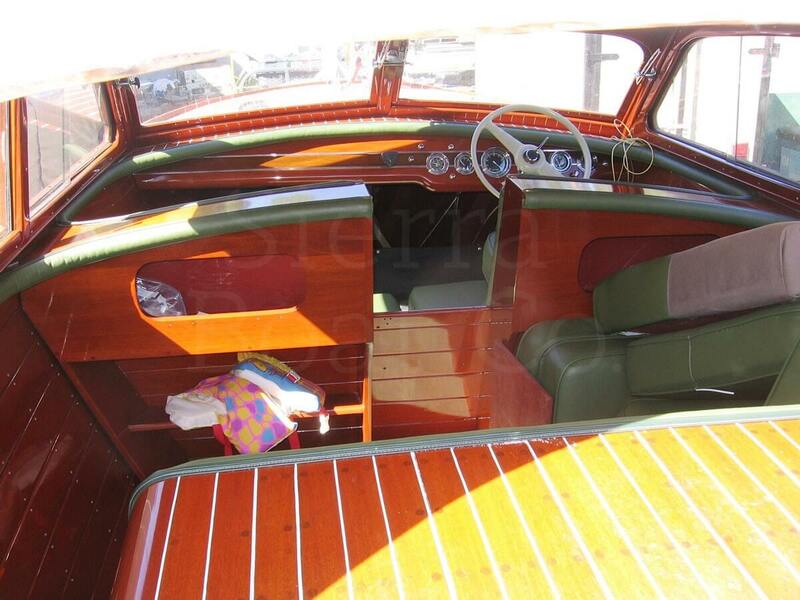 1947 Chris Craft 25ft Sportsman Sedan. 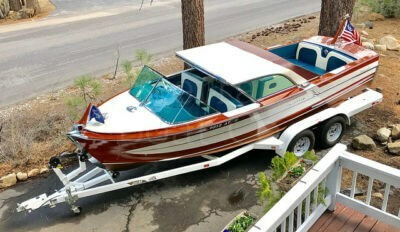 The 25ft Sportsman model is a very desirable and large utility that can accommodate 9-10 people. This example has a rare sedan top. 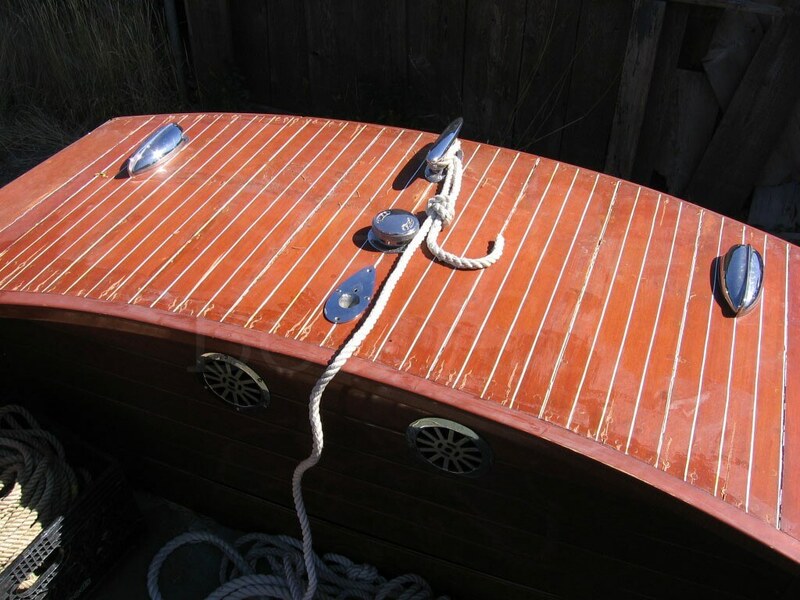 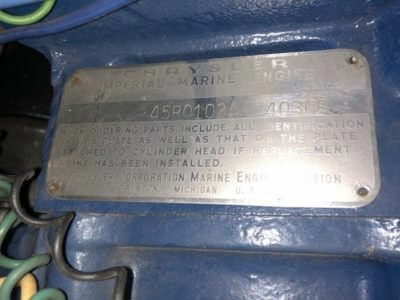 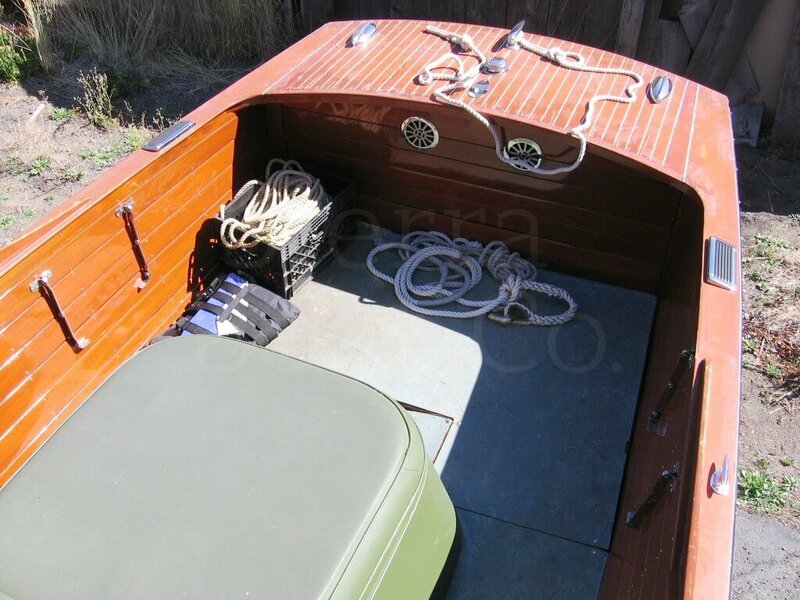 The boat is solid but is in need of cosmetic restoration and has an original bottom. 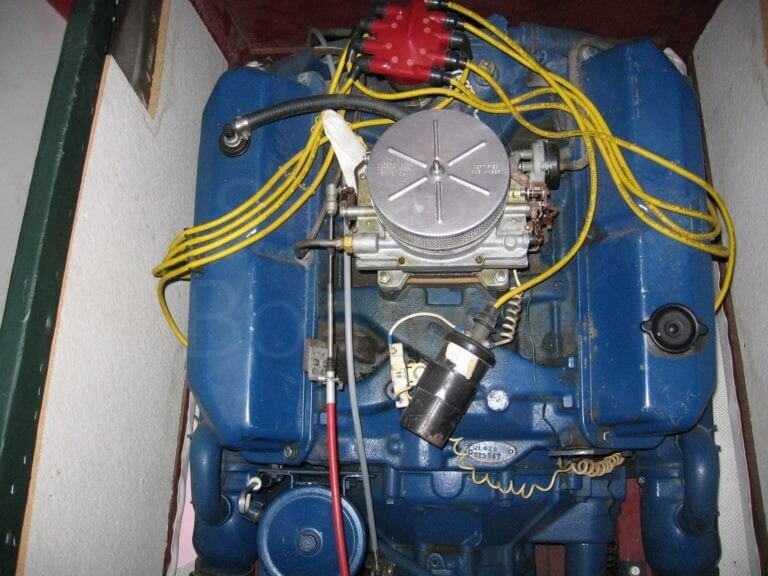 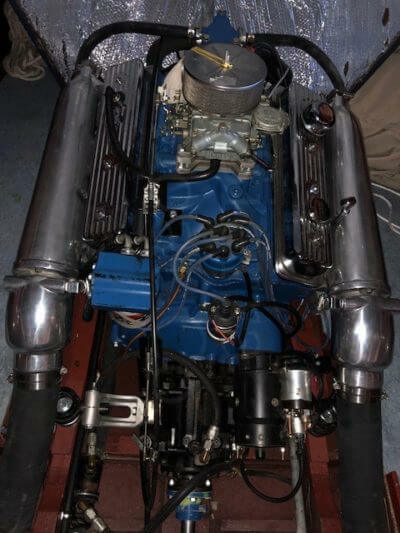 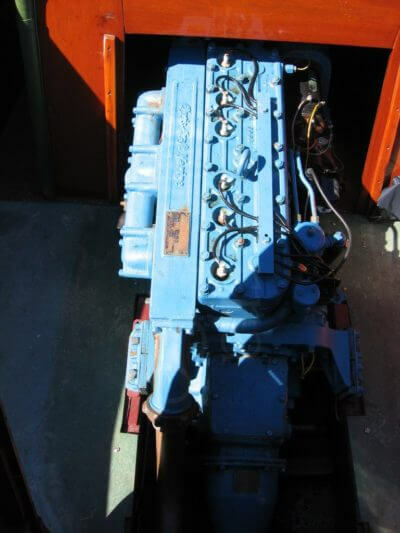 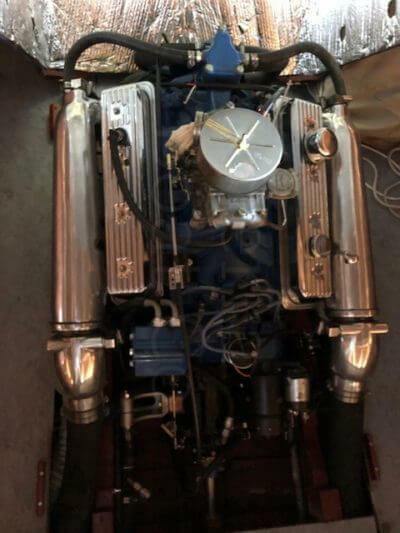 The 130 hp Model M engine is original and has been re-built. 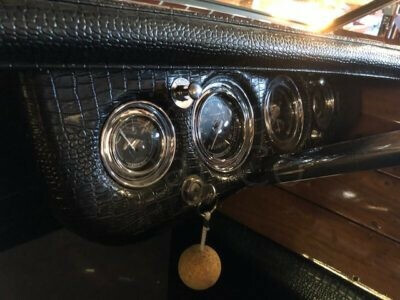 It is equipped with a reduction gear. 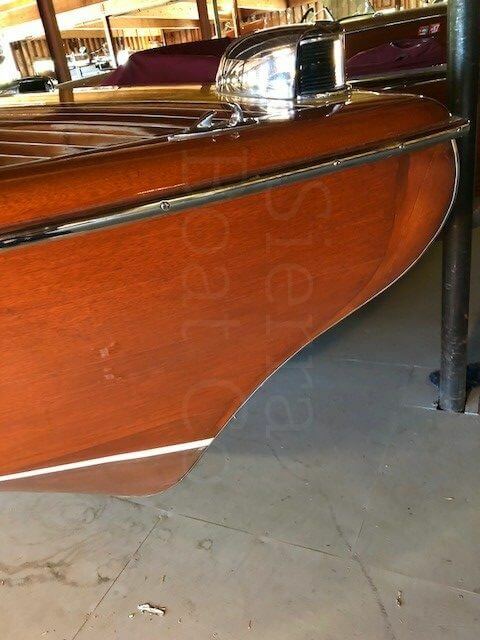 The majority of the wood is original. 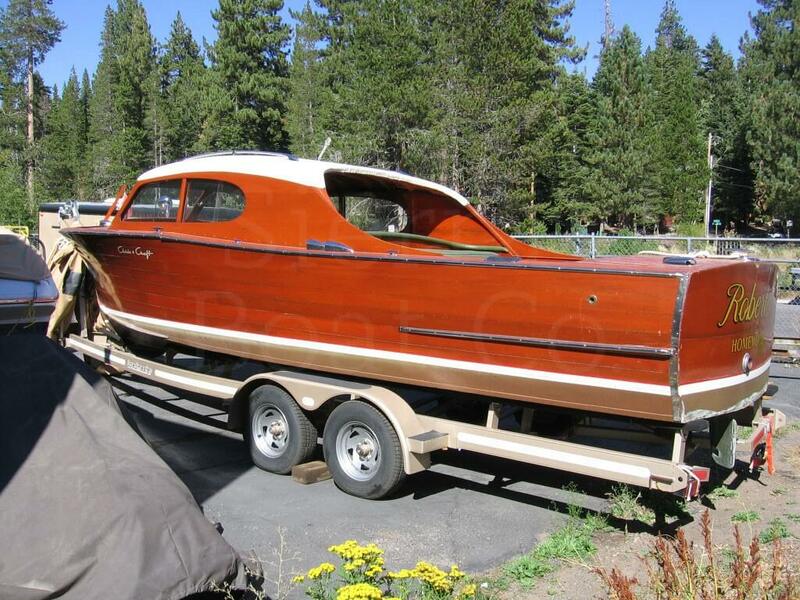 1947 Chris Craft 25ft Sportsman Sedan. 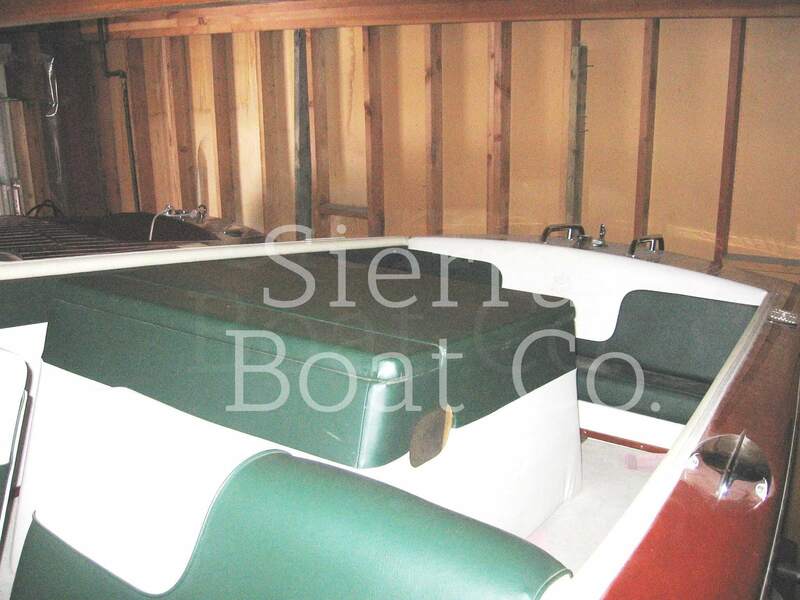 The 25ft Sportsman model is a very desirable and large utility that can accommodate 9-10 people. 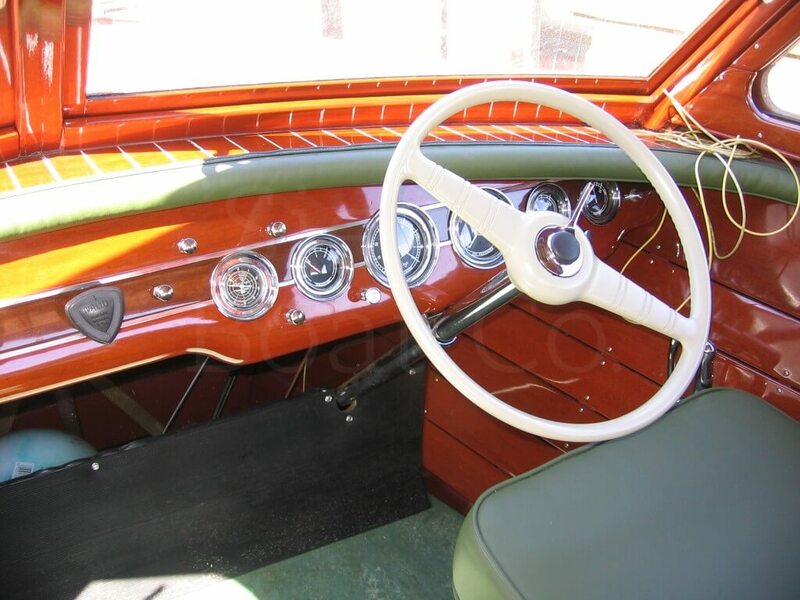 This example has a rare sedan top. 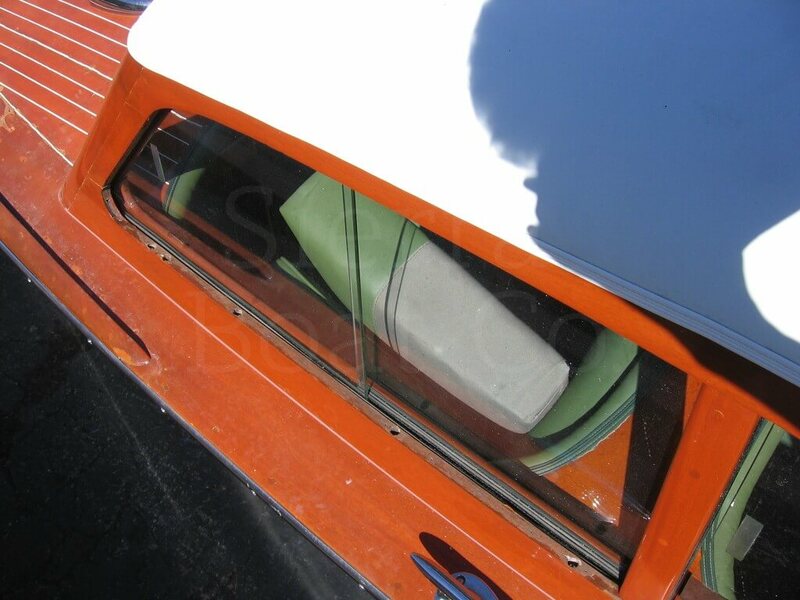 The boat is solid but is in need of cosmetic restoration and has an original bottom. 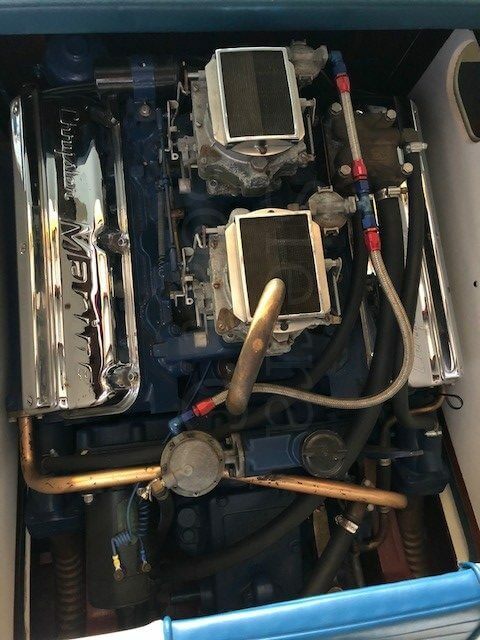 The 130 hp Model M engine is original and has been re-built. 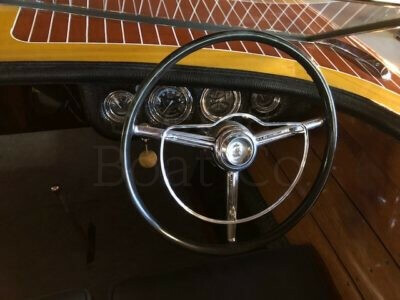 It is equipped with a reduction gear. 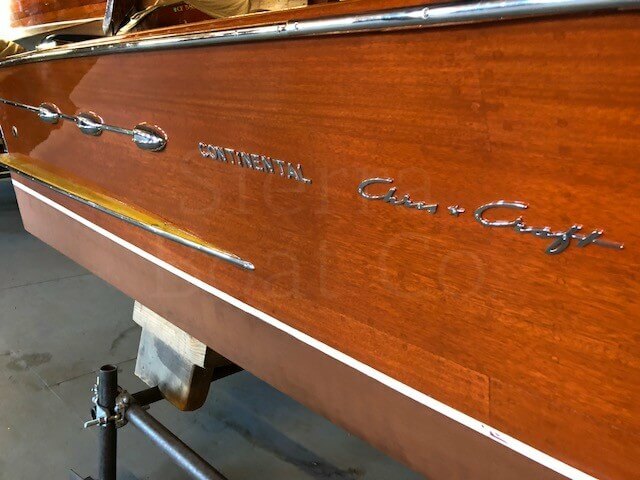 The majority of the wood is original. 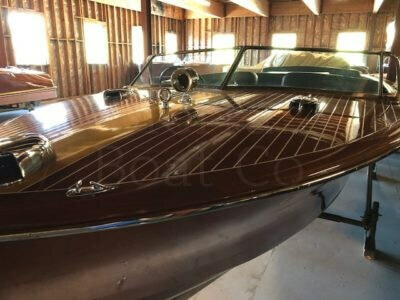 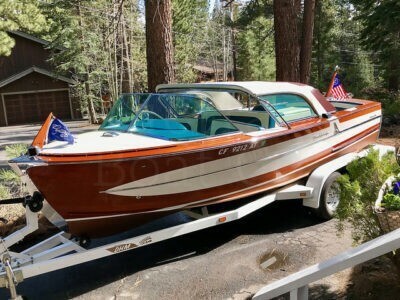 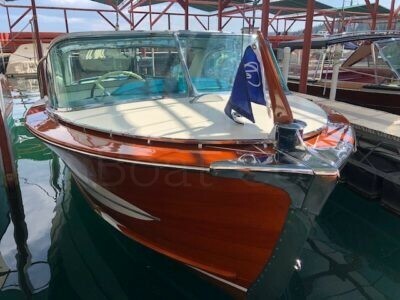 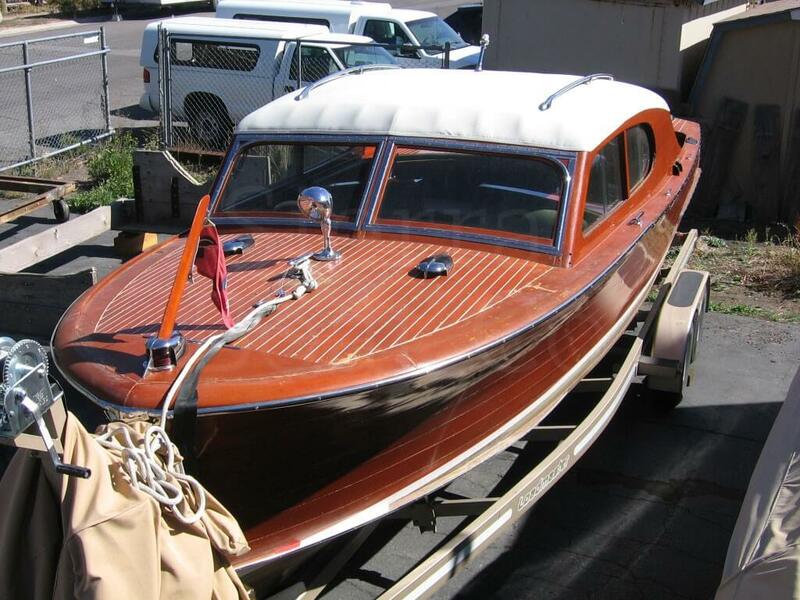 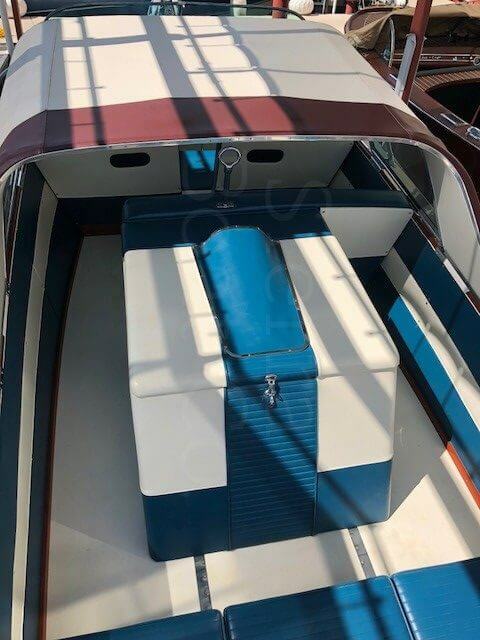 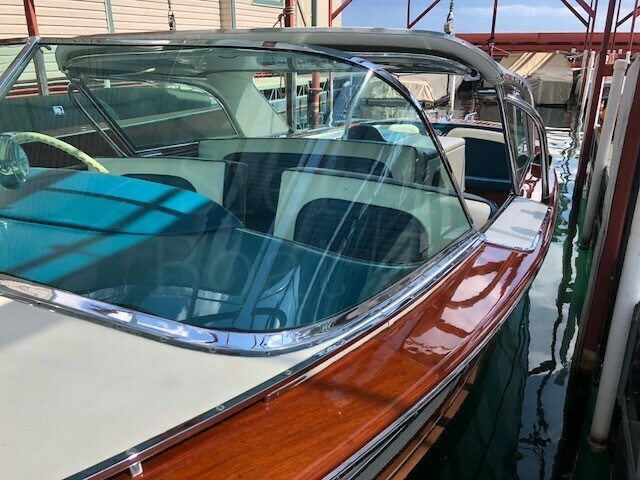 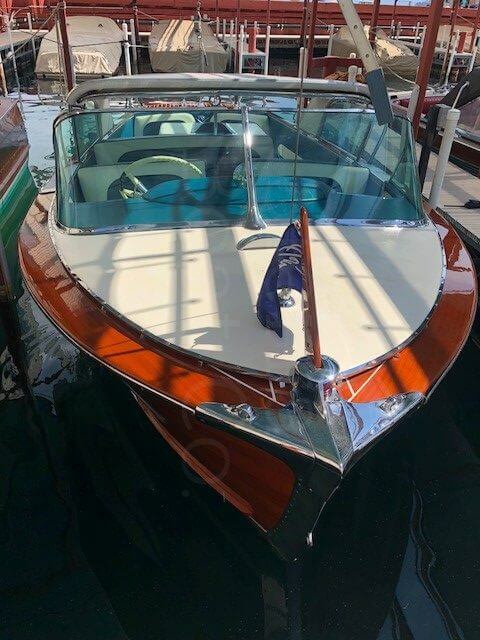 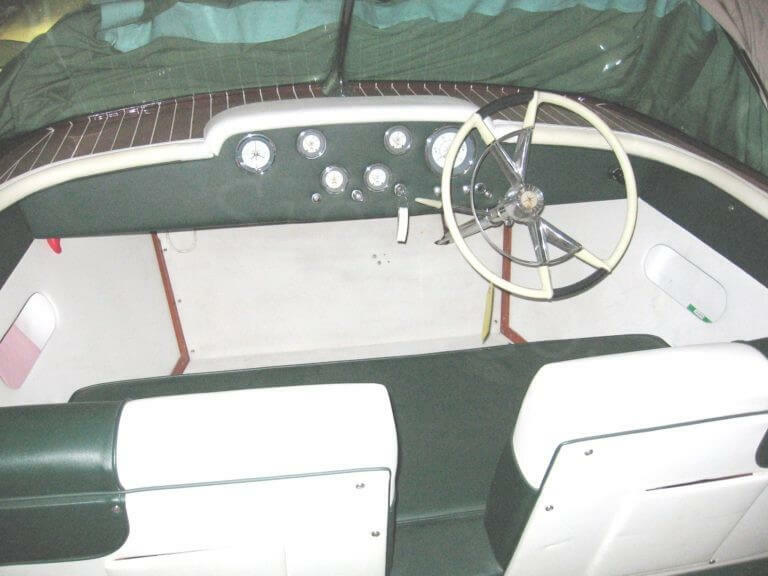 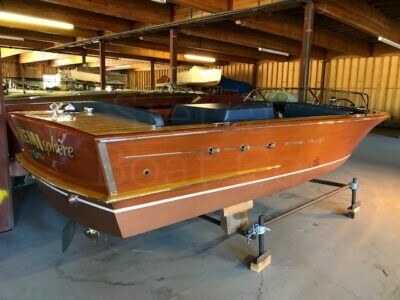 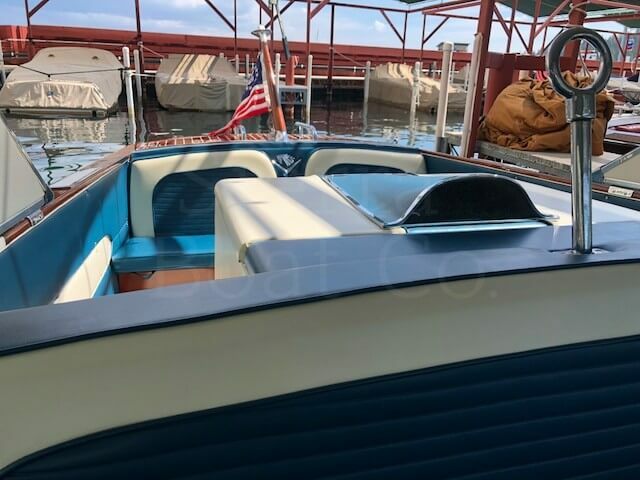 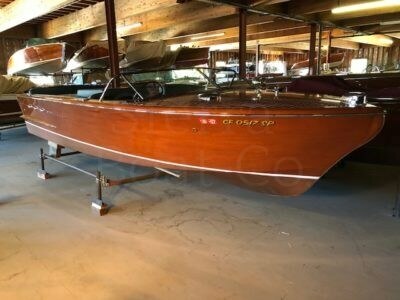 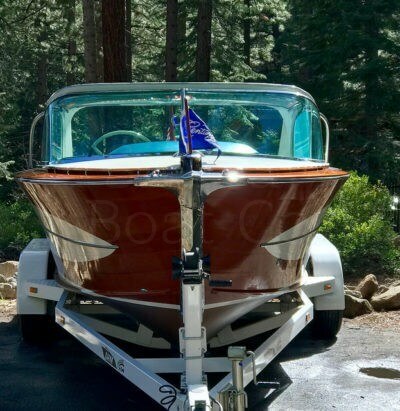 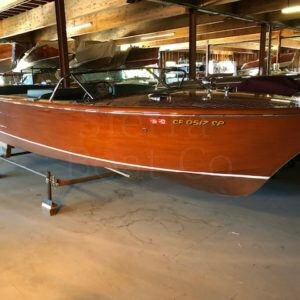 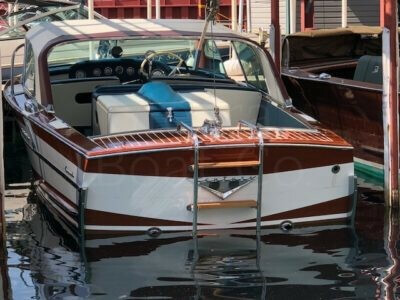 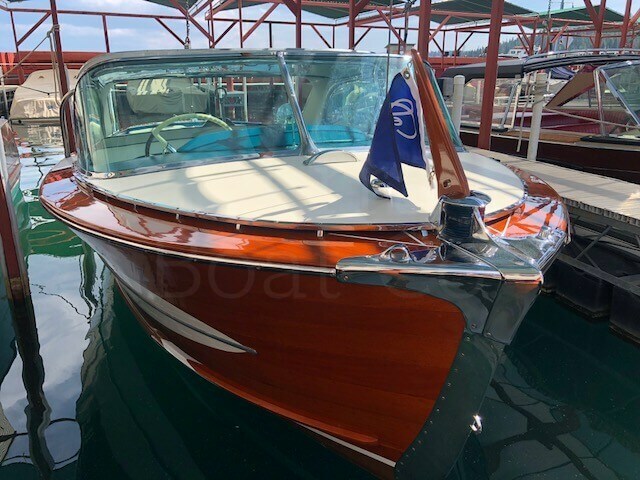 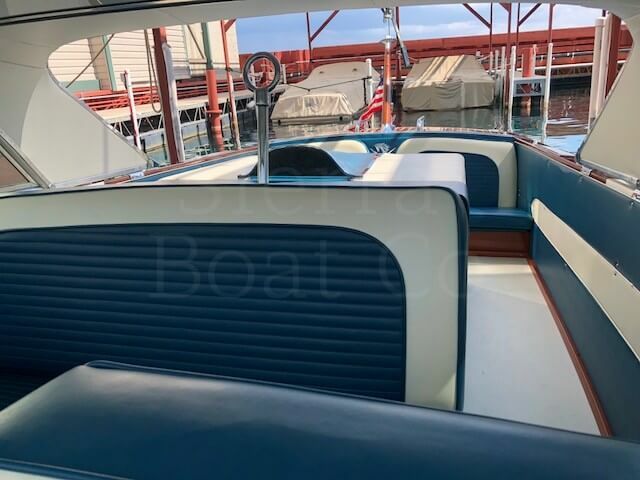 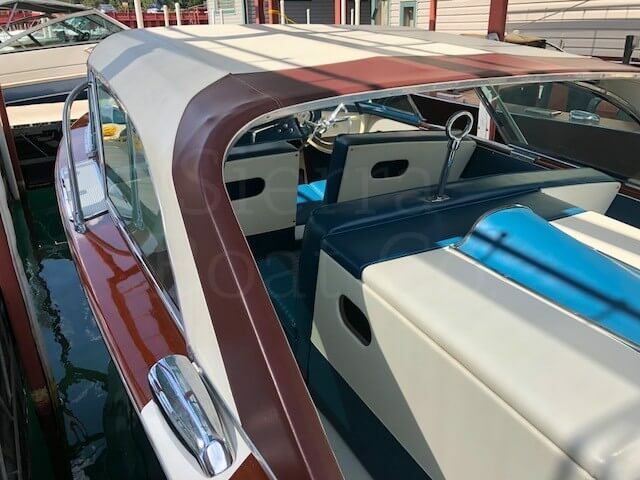 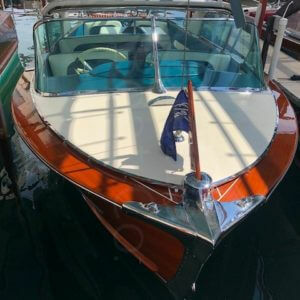 This is a 1955 Chris Craft 22ft Continental. 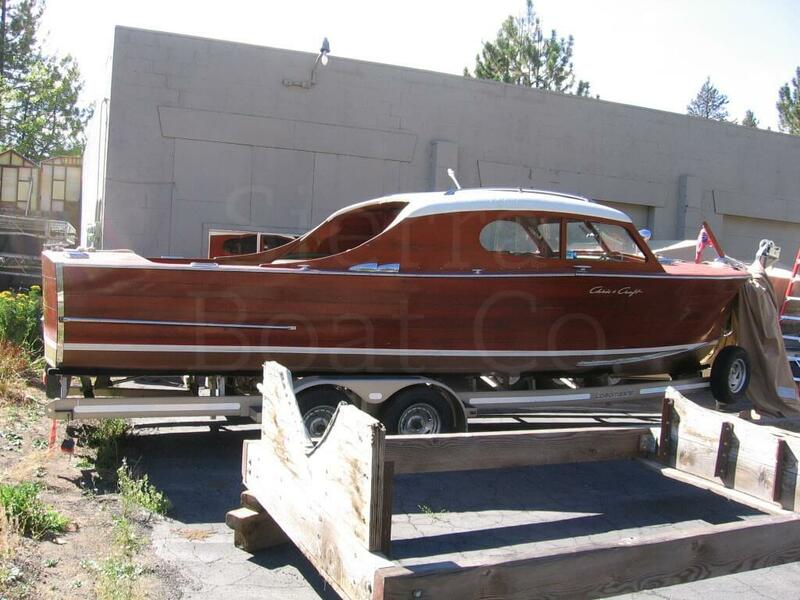 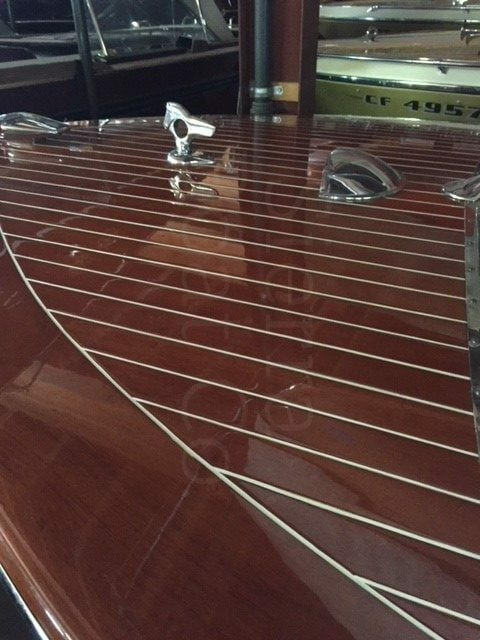 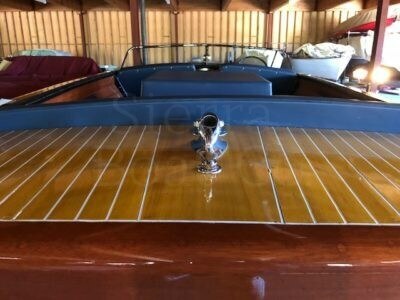 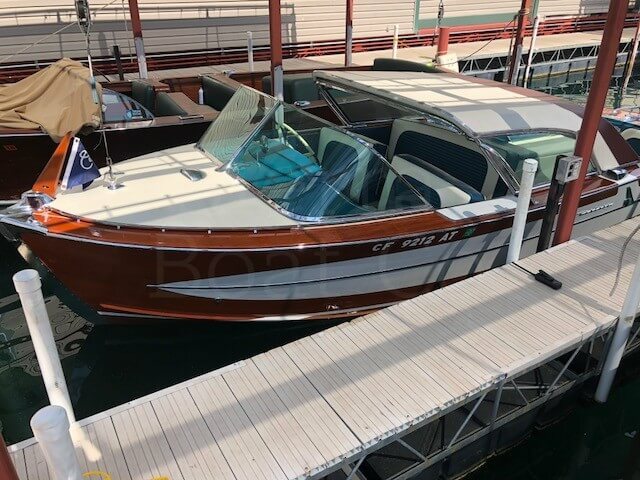 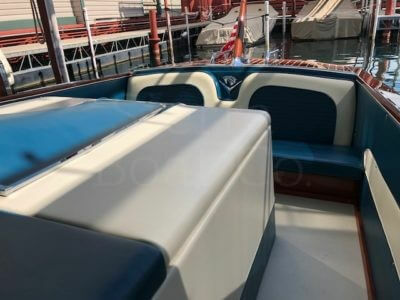 This Chris Craft is in very good condition. 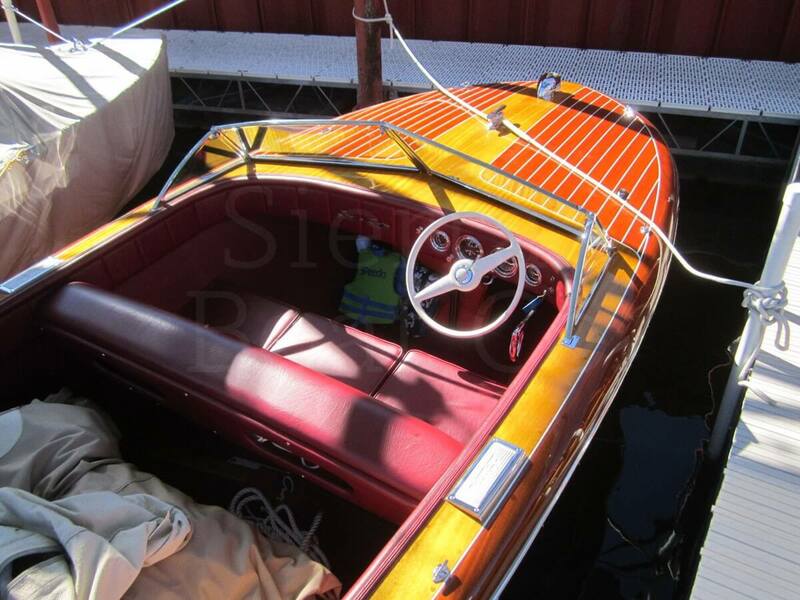 It was fully restored in 2010 and hardly used after the restoration. 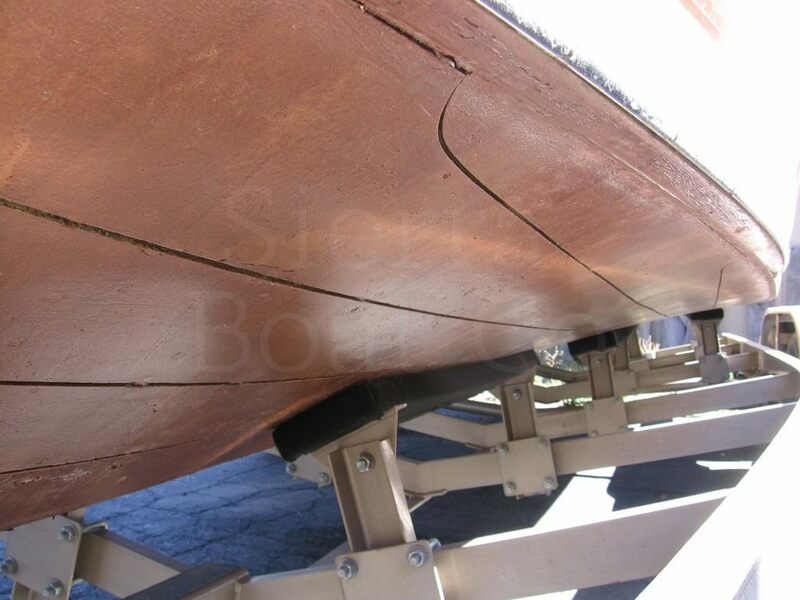 It received new bottom paint and varnish in 2015. 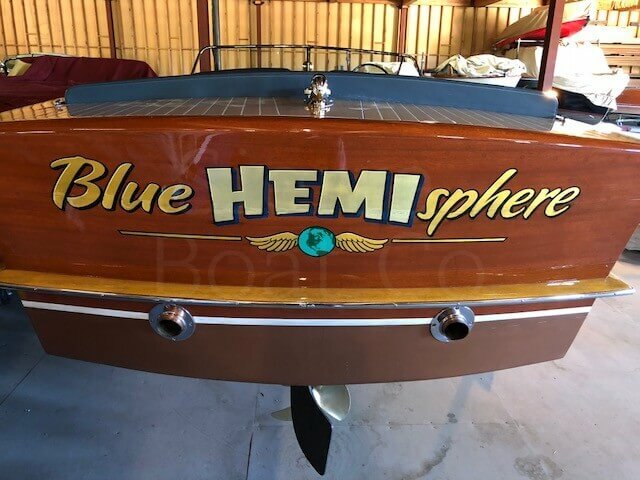 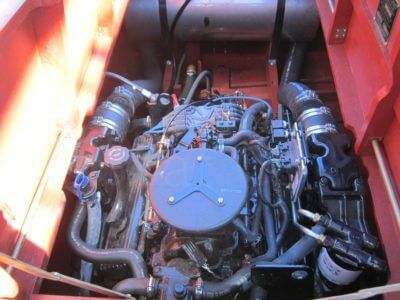 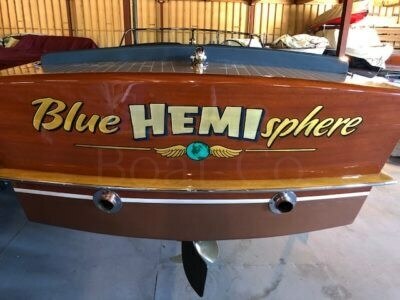 The hemi engine was switched out in the fall of 2017 by Sierra Boat to a rebuilt Chevy small block 5.7L with 270 hp. 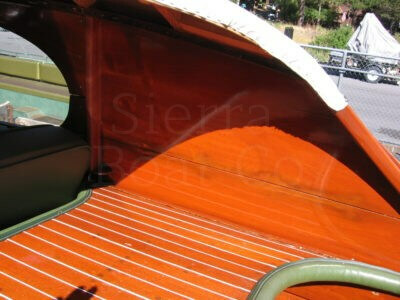 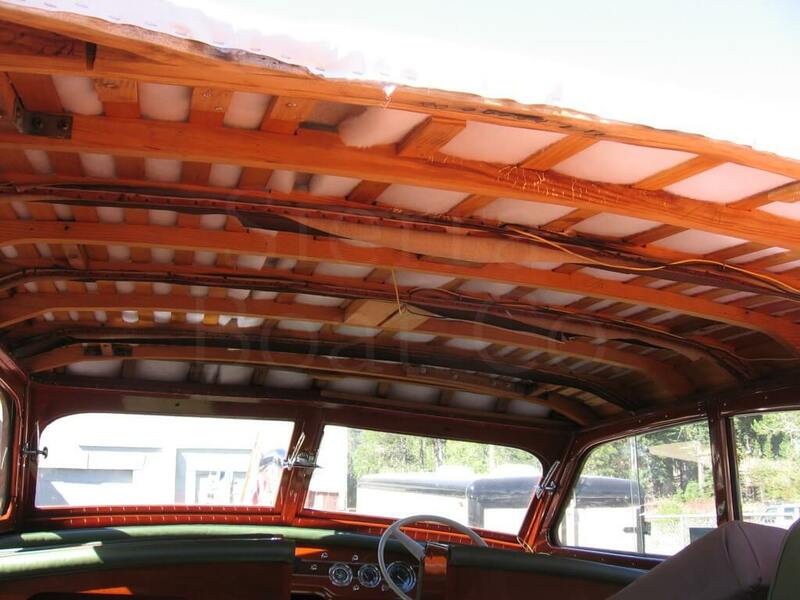 The interior upholstery and flooring is in very good condition besides one small tear on the engine box. The bottom is an epoxy plywood bottom and is in very good condition with no leaks. 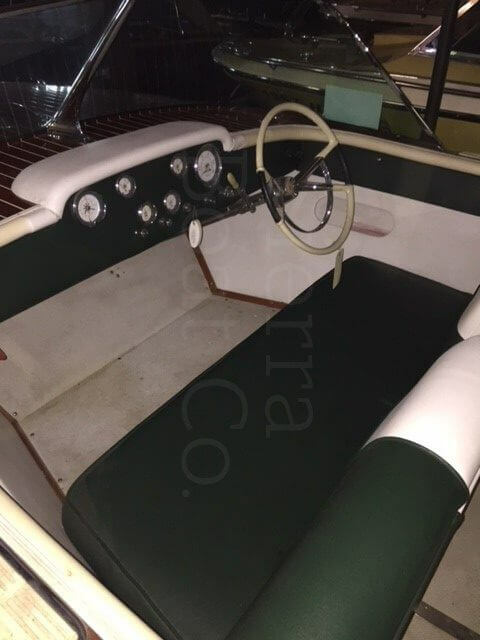 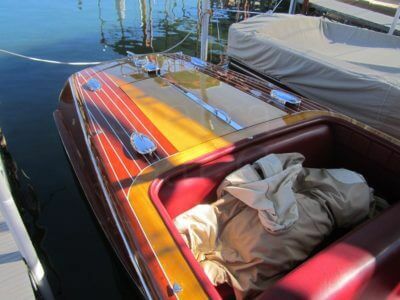 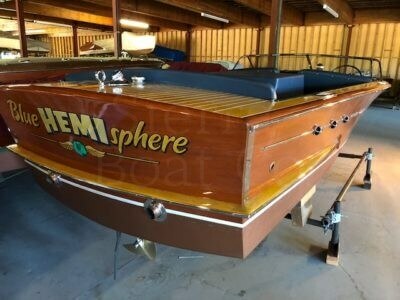 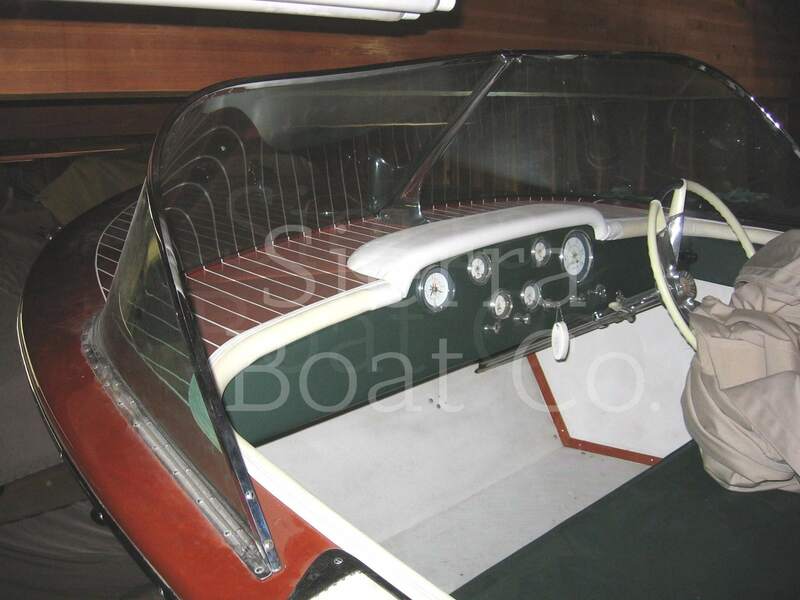 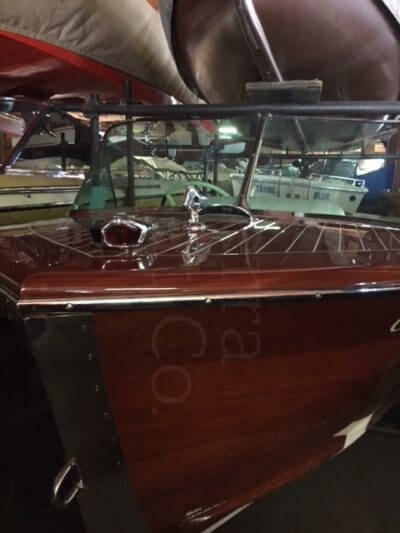 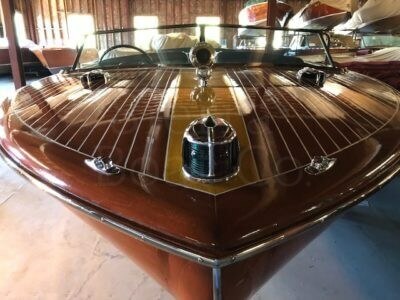 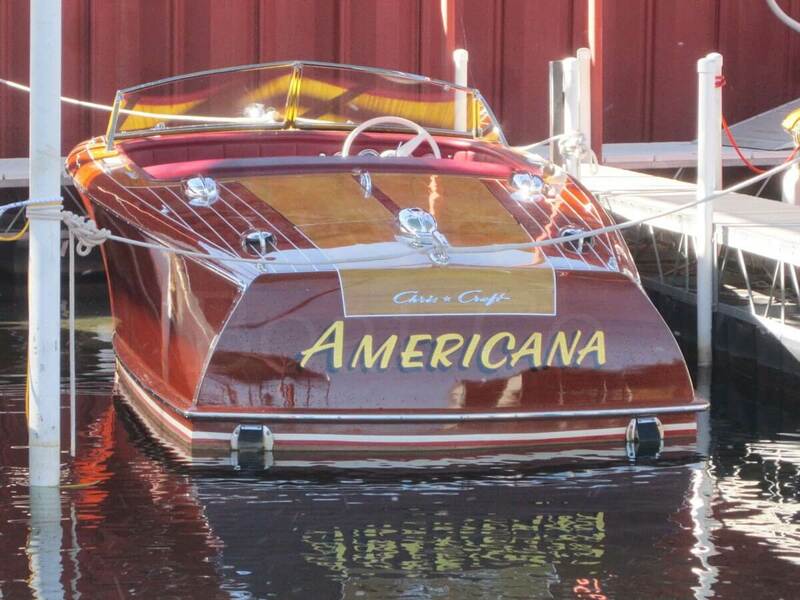 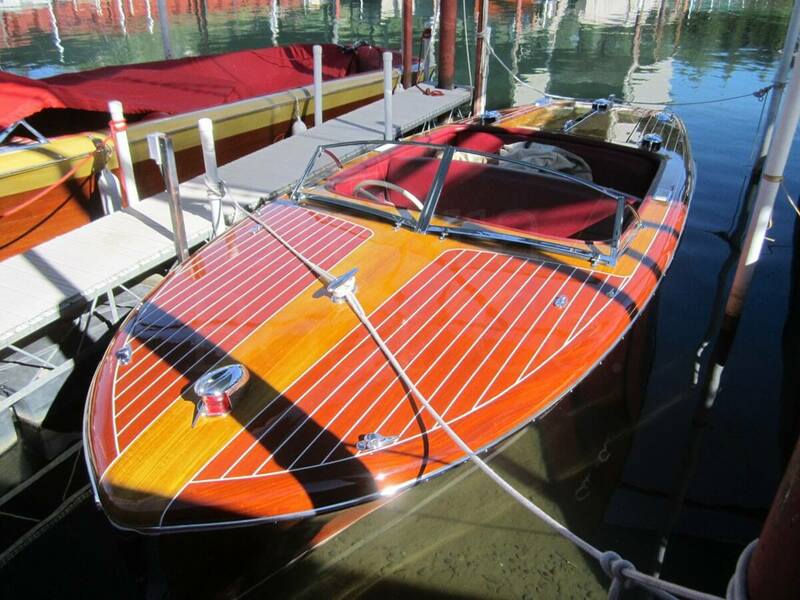 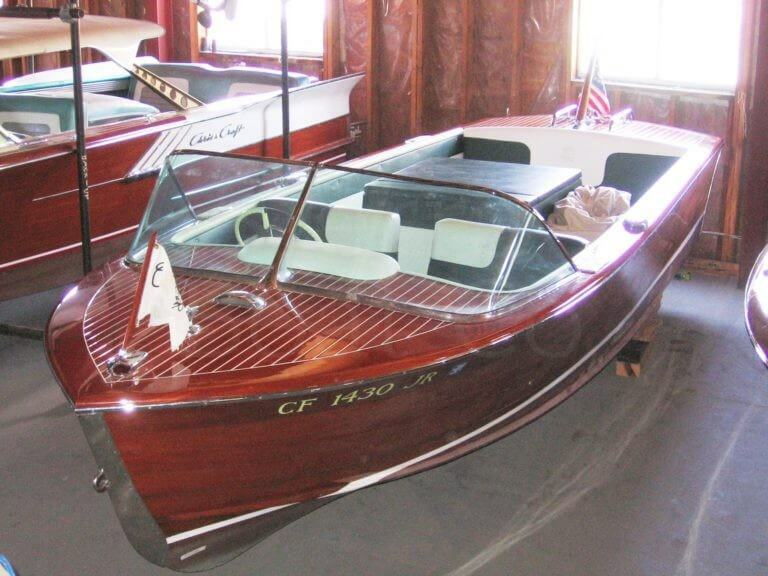 This is a 1947 Chris Craft 20ft Custom Runabout. 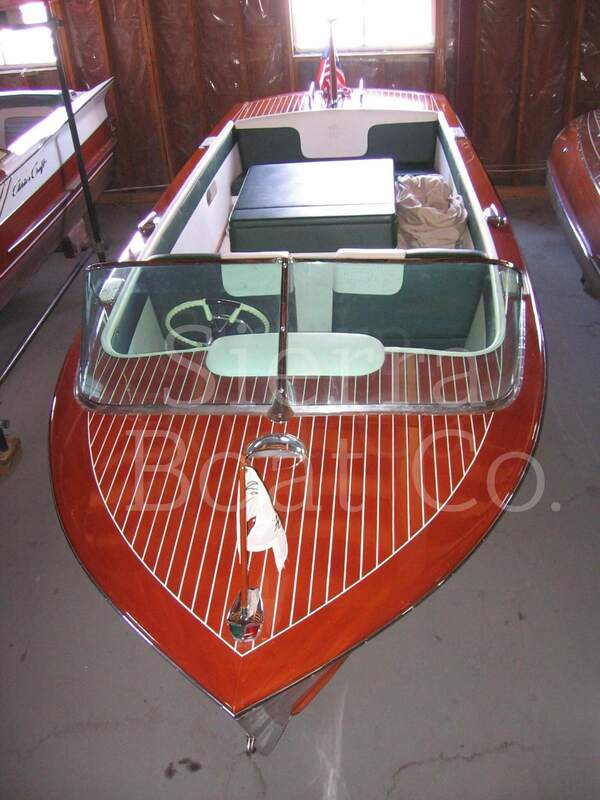 Completely restored in 2001, it features fully glued construction and modern power. 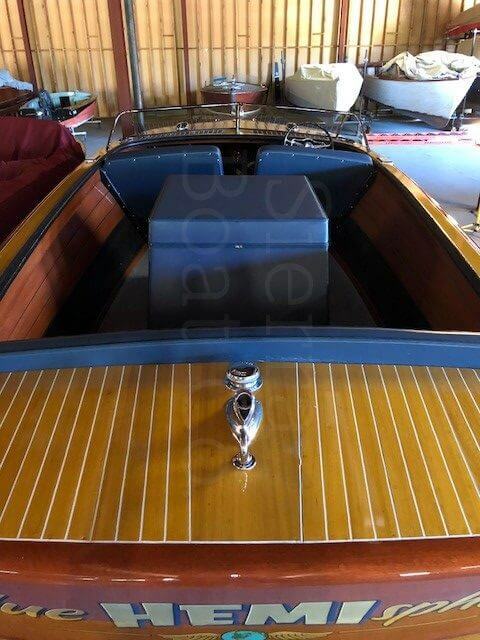 The 20ft Custom Runabout is one of the best post war boats that Chris Craft built. 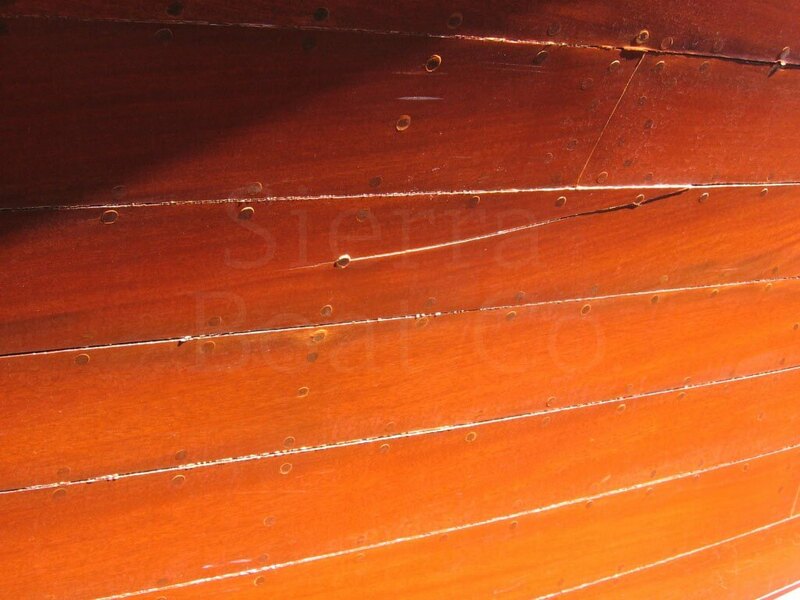 They were very high quality and were a continuation of the pre-war 19ft Custom, AKA 19ft Barrel Back. 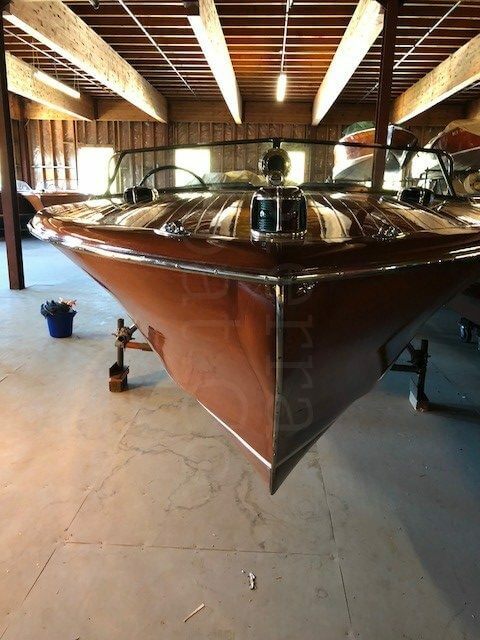 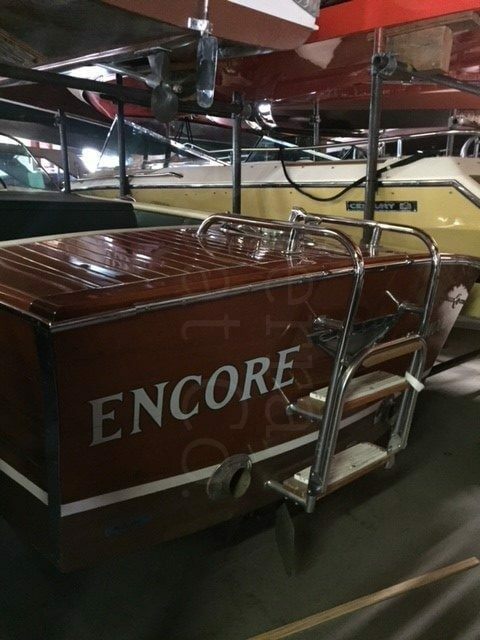 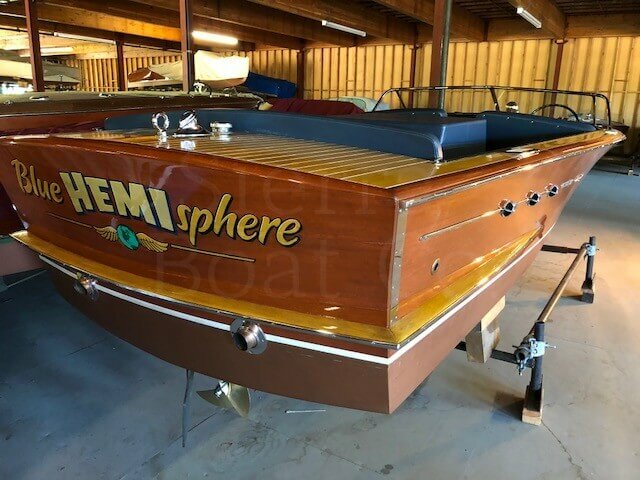 They have become one of the most collectable boats on the market. 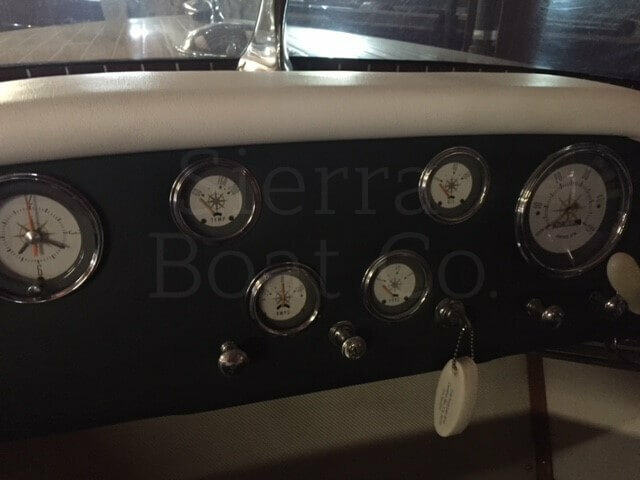 The boat is powered by a 310 hp Mercruiser engine which gives it great performance in the altitude over the stock 158 hp MBL flathead. 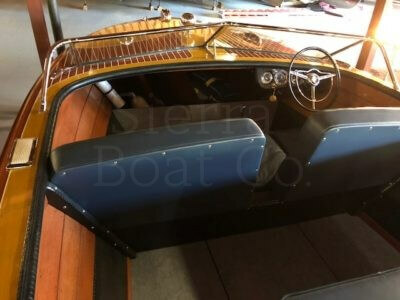 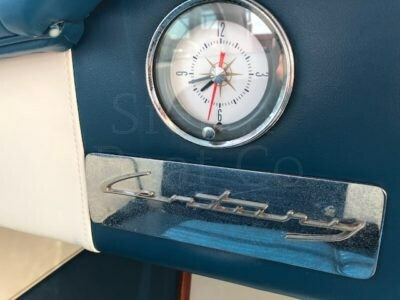 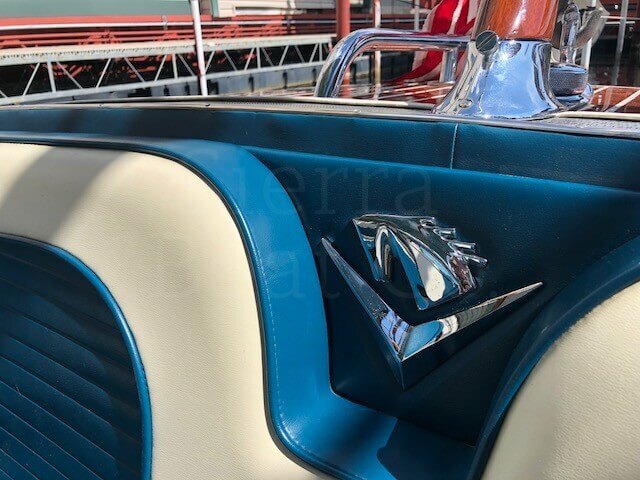 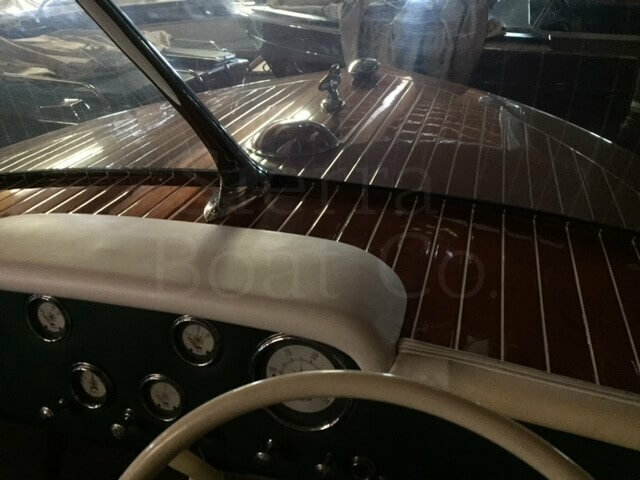 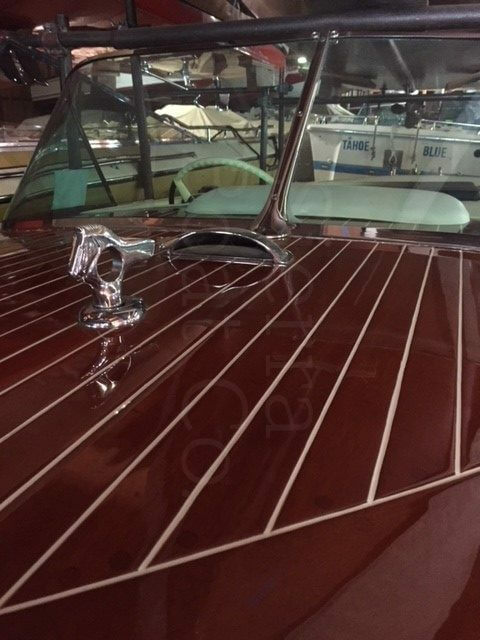 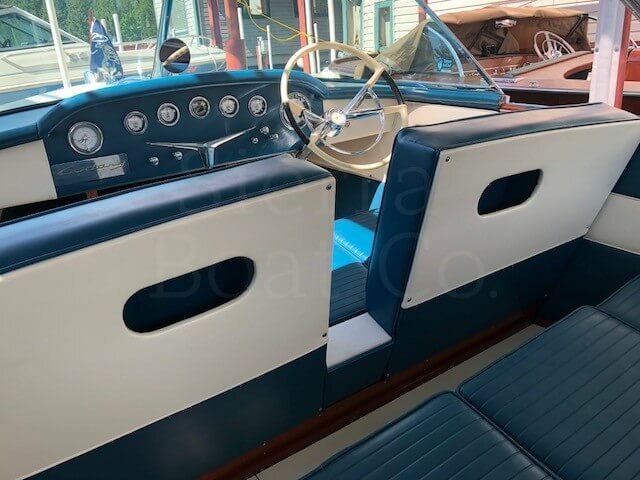 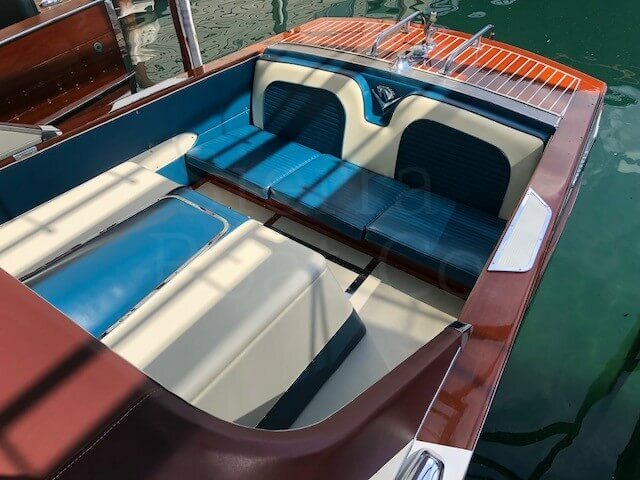 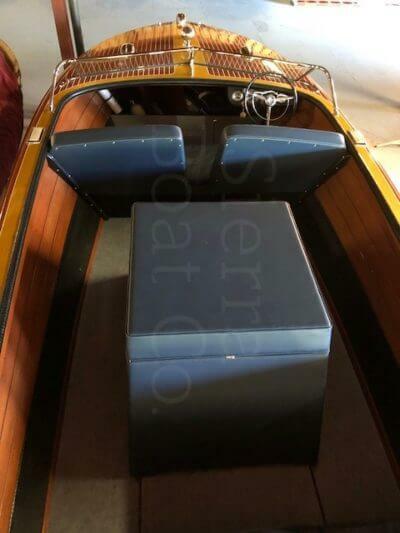 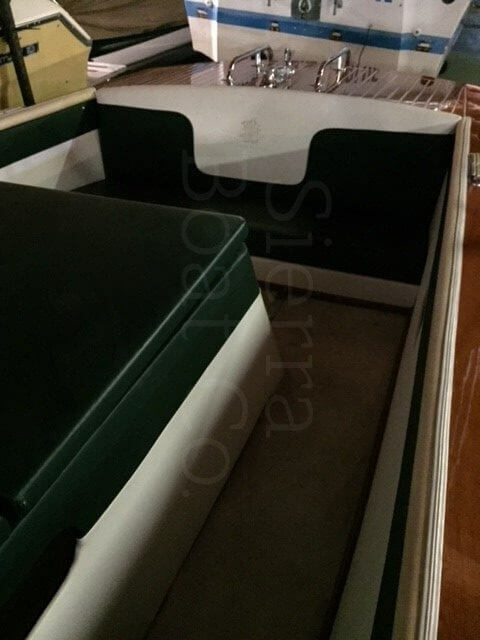 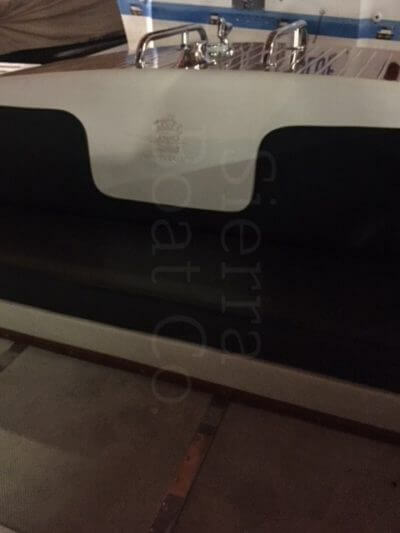 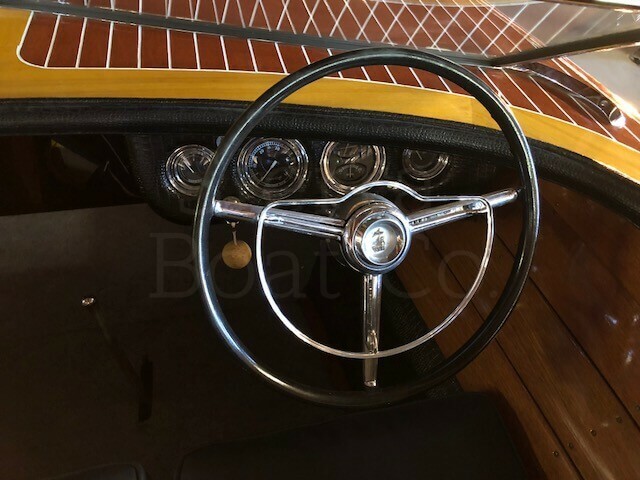 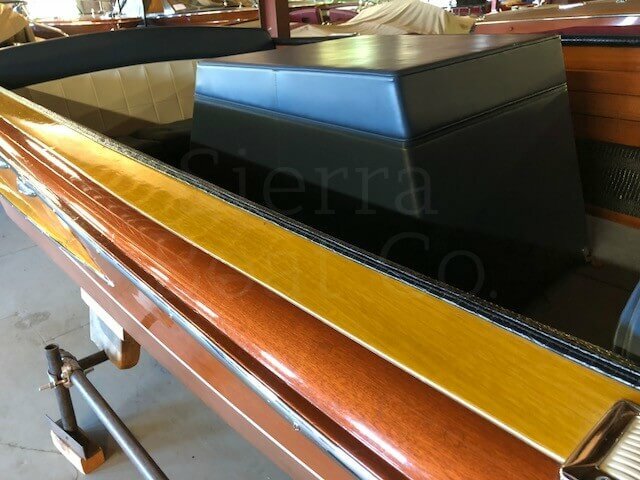 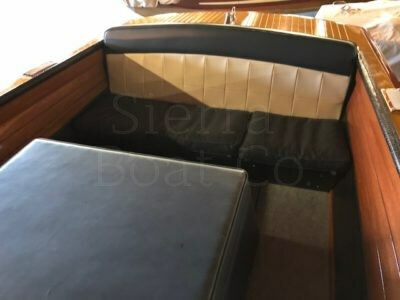 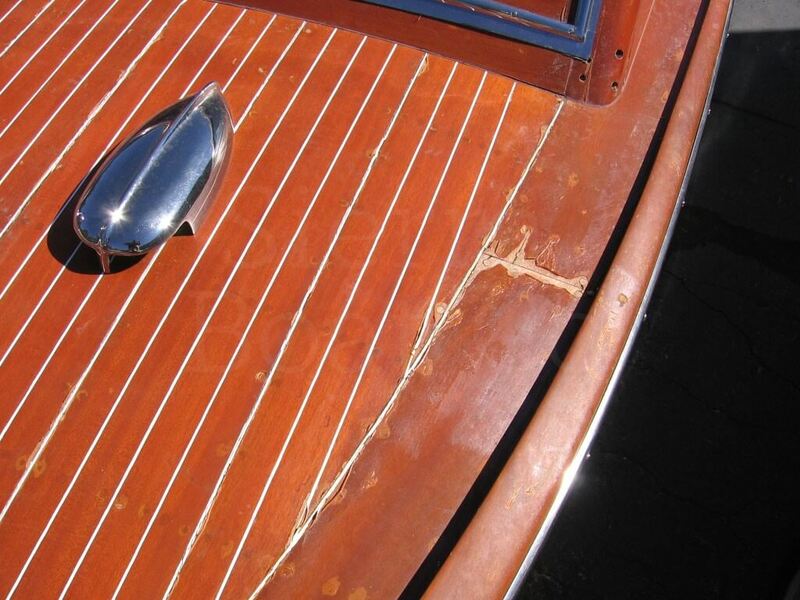 Besides modern power, several details keep this boat from being a show boat like vinyl upholstery instead of leather. 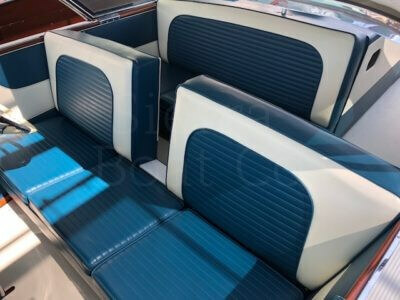 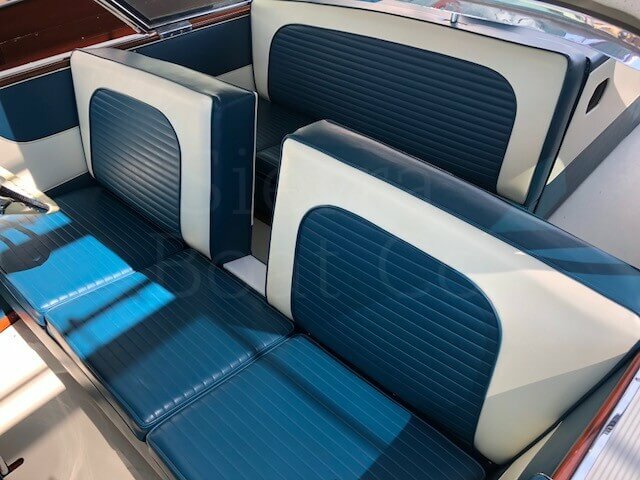 The vinyl upholstery is more practical as it withstands wear tear better then leather. 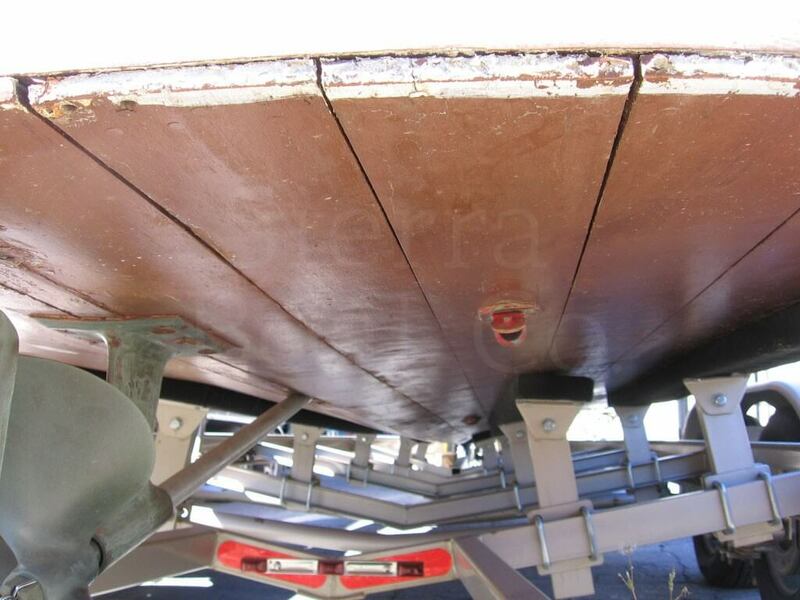 The glued construction makes the wood very stable and eliminates plank movement and water leaking. 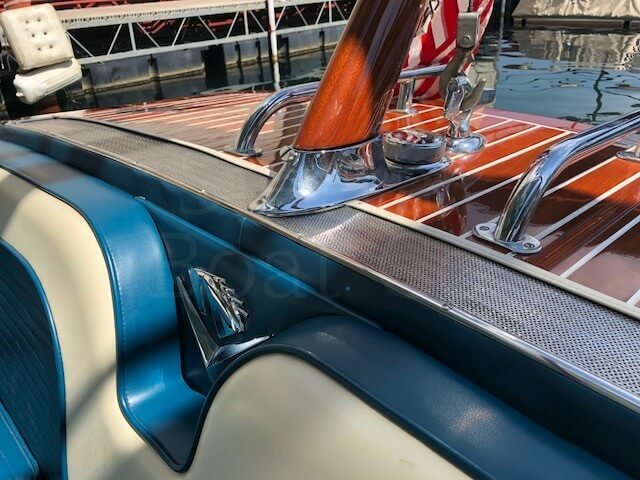 The decks were freshly varnished in the winter of 2016. 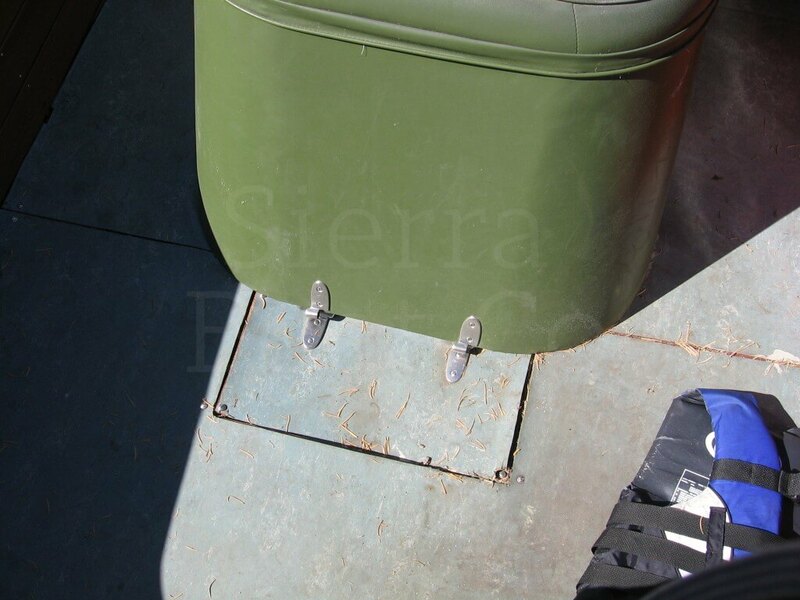 It comes on a nice, fitted trailer and has a full waterline custom cover. 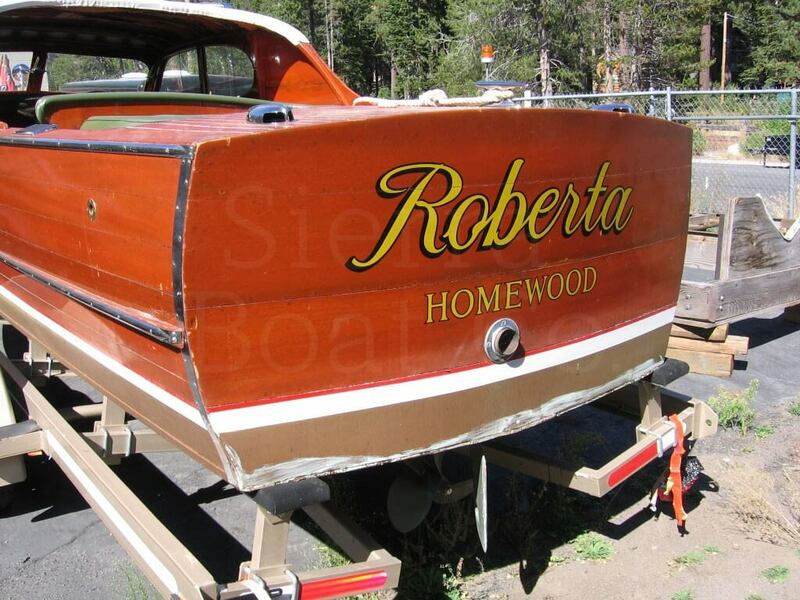 This boat has been in a slip each summer at Sierra Boat Co. since 2014. It is turn key and ready to be enjoyed!